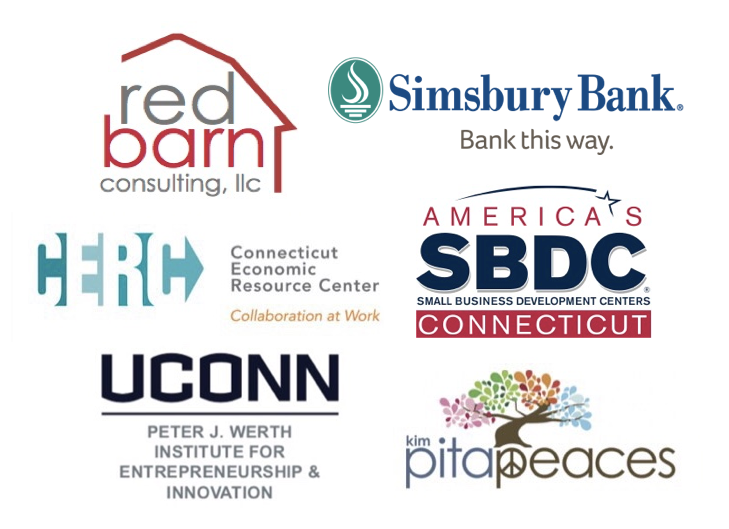 The University of Connecticut Family Business Program is a member-driven initiative founded in 1995 to educate, connect and add value to family-owned and entrepreneurial organizations. Leaning on the academic backbone of UConn's School of Business, the Family Business Program offers an inimitable opportunity to learn about the unique challenges of family and closely-held firms from professionals and peers in an unbiased, confidential environment. Our goal is to help family businesses develop strategies and policies that will serve to perpetuate family ownership while helping them make advances in business strategy, organizational structure, management practices, human resources, leadership development, and succession planning. Here at the University of Connecticut Family Business Program, we maintain a simple but critical promise to our constituents. We promise a dynamic educational experience rich in take-home value that will challenge your intellect, enhance your business skills, and prepare you to effectively manage conflict and achieve success in your interpersonal relationships and family-owned enterprise. We invite family businesses to join the UConn Family Business Program and leveraging our core body of knowledge. There are many ways to participate: join the Base Camp executive education program, bring an intern on-board to work with your family business, attend social networking events or send a student to our undergraduate course. 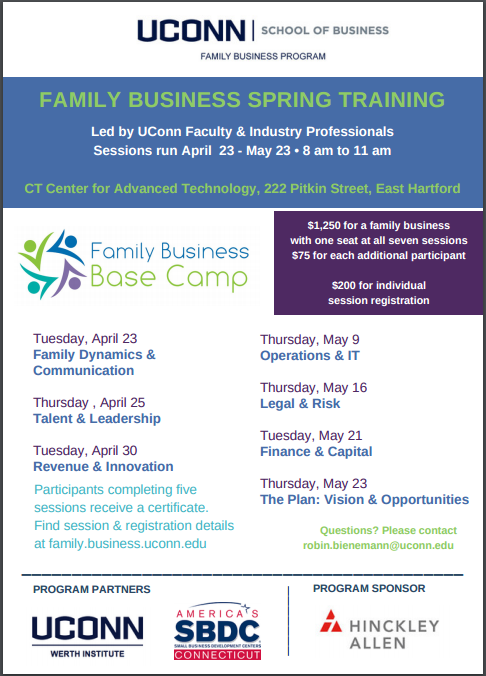 We are excited to announce our Family Business Spring Training! For more information, click here.